Musculoskeletal disorders and return to work: How sound is the evidence for functional restoration programmes? Functional restoration is seen as an effective way to achieve return to work for employees with musculoskeletal disorders. However, an authoritative review found the evidence was inconclusive. Physiotherapist Mark Armour looks at the case for the approach. Functional restoration programmes (FRPs) have been widely supported over the past 20 years in international research as the method most likely to achieve a functional recovery for people with chronic musculoskeletal disorders (MSDs). FRPs achieve a higher proportion of patients returning to work with reduced frequency of recurrences and sickness absence (Schonstein 2004). Given the well-recycled statistic that once an individual has been on sick leave for six months there is only a 50% chance of return, the ability of such programmes to return chronic MSD cases to the workplace should have both economic and socially responsible benefits. Historically, the management of MSDs and low back pain remained embedded in the medical/impairment model of treatment aimed at accurate diagnosis and symptomatic treatment. Workers who failed to improve through traditional therapy continued to be referred for medical management. Frequently, X-rays and scans showed wear-and-tear changes and minor disc herniations that were interpreted by medical professionals to be the root cause of the workers’ pain and that this would further deteriorate with time. This was misleading and wholly unhelpful as degenerative changes are found in many people who do not have any pain. However, the interpretations and explanations given to workers in the course of their management and treatment led them to believe they had a serious problem, resulting in real worries about the fragility of their musculoskeletal system. This caused behaviour such as catastrophising (over-emphasis on negative outcomes) and the avoidance of physical activities relating to both work and leisure, leading to deconditioning (the multiple, potentially reversible changes in body systems brought about by physical inactivity) and loss of confidence to undertake even the most menial of physical tasks. 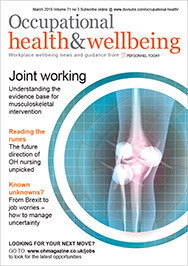 Many workers with chronic low back pain moved from physiotherapy to secondary care, where it was often concluded that little could be done to help, resulting in despair and hopelessness for some and uncertainty about future ability, whether physical, social or economic (ability to earn). The European Agency for Health and Safety at Work (2000) reviewed evidence on back pain and concluded that it is generally a self-limiting condition, with 85-90% cases recovering within 12 weeks. The remaining 10-15% are the ones that develop into cases of chronic disability, and account for 80% of the total costs to insurers, employers and society. FRP was established in the UK as a means to counteract the medicalisation of MSDs and promote recovery from musculoskeletal conditions. distrust of the employer and their motivation to return the worker to employment. FRP in the UK aims to addresses each of these obstacles through physical conditioning and the use of cognitive behavioural therapy (CBT). The programmes look to replicate the physical and psychosocial challenges and obstacles the worker will face, helping him or her address these. The facilities are designed to build physical ability and confidence in carrying out repetitive, physically challenging activities. A range of tasks seen in many workplaces are replicated throughout the programme, which can include changing spare wheels, or using police riot shields or climbing harnesses. Alongside the physical conditioning element is education on common issues such as pain, unhelpful beliefs about common conditions and pacing oneself to avoid flare-ups. Programmes in the UK cite an 85% success rate in returning participants to full sustainable duties, with a significant return on investment per case. FRPs are based on moderate quality evidence; intense physical conditioning probably slightly reduces duration of sickness absence compared with care as usual for workers with chronic back pain, but only at long-term follow-up. Based on low-quality evidence; intense physical conditioning, together with care as usual, may reduce sickness absence duration compared with care as usual, but only at long-term follow-up. Evidence on the effectiveness of intense physical conditioning programmes versus exercise therapy for workers with chronic back pain at long-term follow-up is conflicting and missing at other follow-up times. There is very low-to-moderate quality evidence that CBT is probably not superior to physical conditioning as an alternative or in addition to physical conditioning. I have personally been involved in the design and delivery of FRP for more than 10 years and have seen workers destined for ill-health retirement returning to work after long-term absence (some of which was for more than three years). Analysing the findings from the Cochrane review, it was established that the panel evaluated papers relating to 27 programmes. Further examination revealed a fundamental point to be noted when interpreting the results: no two programmes were delivered consistently. All programmes reviewed in the research papers included the basic ingredients of both general exercise and work-related exercises, however some programmes lasted just one hour per day, running for 30 consecutive days; some were fully residential; and others were outpatient. In evaluating the efficacy of FRP programmes, you could argue that we need to agree a consistent model of delivery before evaluating effectiveness and that the statements generated from the Cochrane review cannot be applied in a robust manner in relation to UK FRP programmes. The work-focused biopsychosocial model has been studied over the past decade – for example, in the literature review, “Vocational rehabilitation: what works for whom and when?” (Waddell et al, 2008). More recently, the draft National Institute for Health and Care Excellence (NICE) guidelines for the management of low back pain stated: “Consider psychological therapies for managing non-specific low-back pain with or without sciatica but only as part of multi-model treatment packages. 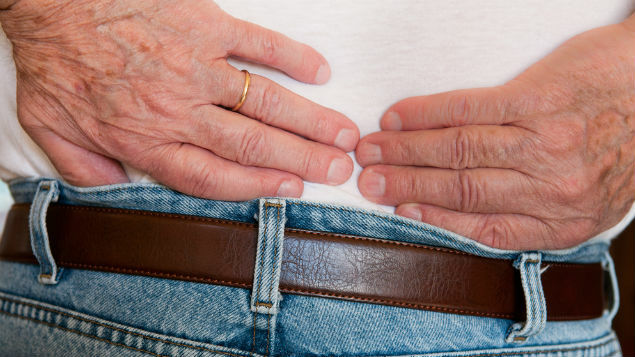 The guidelines also advise promoting and facilitating return to work or normal activities of daily living for people with non-specific low-back pain with or without sciatica. anecdotal evidence and case studies demonstrate that this is still being achieved, however, the need for a larger-scale study is wholly evident. Despite the assertion from the Cochrane review, UK evidence suggests that there is a justification for FRP within a stepped care model. Case studies both on an individual and a group basis continue to demonstrate clinical outcomes and economic return on investment. Mark Armour MSc MCSP MCMI is clinical director, clinical governance, at RehabWorks. European Agency for Safety and Health at Work (2000). “Research on work-related low-back disorders”. Luxembourg: Office for Official Publications of the European Communities, p.71. “European guidelines for the management of low-back pain”. Acta Orthopaedica Scandinavica, 73:sup305, pp.20-25, DOI: 10.1080/000164702760379503. Hunter et al (2006). “Evaluation of a functional restoration programme in chronic low-back pain: Occup Med (Lond). October 2006, vol.56(7), pp.497-500. National Institute for Health and Care Excellence. “Low back pain and sciatica. In development”. [GID-CGWAVE0681]. Expected publication date to be confirmed. Schonstein E, Kenny DT, Keating J, and Koes BW (2004). “Work conditioning, work hardening and functional restoration for workers with back and neck pain”. Cochrane Review. The Cochrane Library. Issue 1. Chichester, UK: John Wiley & Sons Ltd.
Waddell Gordon, Burton A Kim, and Kendall Nicholas AS (2008). “Vocational rehabilitation – what works, for whom, and when?”. Report for the Vocational Rehabilitation Task Group. HMSO, London. ISBN 97801170386150.